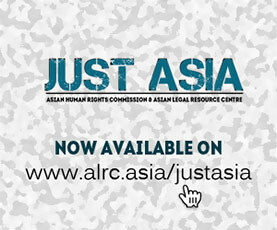 The Asian Legal Resource Centre (ALRC) and Nepalese human rights organisation Advocacy Forum wish to bring to the Council’s attention the continuing and significant increase in reports of torture in Nepal over the last two years, as well as ongoing delays by the state in implementing the policing and judicial reforms required to eliminate torture and ill-treatment in Nepal. Advocacy Forum’s visits to places of detention in 20 districts in Nepal have shown that the percentage of detainees reporting having been subjected to torture or ill-treatment increased from 20.1% in 2009 and 19.3% in 2010 to 24.8% in 2011 among the 12,360 detainees that Advocacy Forum interviewed in those three years. This worrying trend highlights the government’s ineptness in curbing this grave human rights violation. The persistent widespread torture of juveniles is of grave concern as juveniles have consistently reported being tortured more frequently than adults. In the first half of 2010, 20.9% of juvenile detainees reported torture or ill-treatment; a percentage which had increased to 36.1% during the second half of 2011. We are concerned that torture has not been acknowledged as a major human rights issue by the government and institutional human rights actors, such as the National Human Rights Commission (NHRC). Torture has not been prioritized in the government’s National Human Rights Action Plan. In the ongoing capacity-building process of the NHRC, plans to establish “national special rapporteurs” concerning different issues have failed to include the issue of torture and violence by the security agencies. Individual cases documented this year have continued to show that victims of torture have limited access to legal remedies as criminal prosecutions are impossible, enabling perpetrators of torture to enjoy impunity, while remaining in duty and even being promoted to higher positions. In spite of repeated commitments to criminalize torture, Nepal is still lacking the legislative framework to enable redress for acts of torture. Nepal is revising its Criminal Code and Criminal Procedure Code, as part of which torture should be criminalized, but no timeframe has been set for their adoption. The draft codes contain much-welcomed elements, such as the introduction of specific sanctions attached to the crime of torture, as well as the criminalization of enforced disappearances and secret detention, both of which contribute to enabling torture. However, under their present form, the draft codes fall short of international standards, by not including a definition of torture in line with the Convention against Torture and by not setting a mandatory prison sentence for the crime of torture. Of significant concern is the fact that under the draft criminal code the written approval of the government of Nepal is required prior to the prosecution of any government employee, which effectively provides the government with veto powers concerning the decision to prosecute perpetrators of torture. The international community should closely follow-up on these issues, urging Nepal to minimize the delays in the process of criminalization of torture and to amend the current legal provisions that undermine victims’ rights to legal redress.The government reports that it is drafting a separate legislation on torture but its draft is yet to be made public. Developing an effective legislative framework allowing redress for acts of torture is an important component of the measures required in order to effectively tackle torture in Nepal. However, it is only through an overhaul of the country’s policing system and the strengthening of its justice system that torture will be eradicated in the country. Numerous individual cases documented this year have shown that torture will continue to be widespread until the policing system is reformed in depth, introducing accountability and bringing it under the framework of the rule of law. The police force is plagued with nepotism and corruption, hampering any progress towards greater accountability and transparency. The adoption of a Police Service Commission, responsible for transfers and appointments, suggested during Nepal’s Universal Periodic Review (UPR), would mark a first credible attempt to introduce accountability and professionalism into the functioning of the police, but as underlined in the 2011 OHCHR’s annual report “to date there has been no progress on that front”. No independent mechanisms exist to investigate complaints brought against police officers, resulting in police officers having the responsibility to investigate complaints against their colleagues in a direct conflict of interest. Nevertheless, during the UPR, Nepal claimed that its complaint mechanisms into allegations of torture were already independent, a stance contradicted by the OHCHR’s report: “internal investigation and disciplinary measures by the security forces could not replace independent and credible investigations under the regular criminal justice system nor satisfy the right of victims to an effective remedy, as required by international law”. In July 2010, Dharmendra Barai, a fifteen-year-old boy, died in police custody, allegedly as the result of torture; this allegation is supported by substantial evidence and eyewitness accounts. Both the District Administration Office and the District Police Office refused to register the family’s complaint. A local investigation reportedly failed to show diligence in the interrogation of witnesses or to take into account strong forensic evidence, and concluded that it could not establish that the death was due to torture. The Home Ministry had conducted a separate investigation in the case but has still not made its report public. The only action taken so far in that case has been the transfer of one police officer to another police office. The police officers allegedly involved in this case have repeatedly refused to visit the local office of the NHRC in spite of being summoned there, although the Interim Constitution granted the NHRC “the same powers as the court has in requiring any person to appear before the Commission”. In January 2011, the Butwal Appellate Court issued a writ of mandamus against the Butwal DPO ordering it to initiate a “fully independent, impartial, effective and prompt investigation into the case as per law. Such an investigation is yet to take place, again in clear violation of the Interim Constitution which states that court orders are to be binding to all. This case not only illustrates the absence of fair and effective investigations conducted by the police into allegations of torture, but also speaks at length to the lack of accountability of police officers to the judicial authorities. Existing legal provisions protecting persons in detention, such as the 24-hour limit to present a person before the court, are disregarded. Torture mostly takes place at the time of arrest and during the first 24 hours of detention. It has been found that the police delay providing detainees with a detention letter in order to postpone the time at which they are to be presented before the court and to have more time to interrogate them without external scrutiny. It is also more difficult for victims to prove that their injuries were due to torture while in police custody when torture takes place in illegal detention. When courts order medical examination, police officers often remain present, preventing detainees from reporting acts of torture. The judiciary is still to play an effective role in the fight against torture. Not only are its orders to provide medical treatment or compensation to victims, to initiate an investigation into allegations of torture or to take departmental action against the perpetrators, typically being ignored in the absence of a mechanism allowing the court to follow-up on the implementation of its orders, but it is often found that the judiciary is restricting itself to a passive role. In some instances, court registrars have arbitrarily rejected torture compensation applications. It has been observed that courts rarely order departmental sanctions against individual perpetrators, even when it finds that torture has taken place and when evidence allows the identification of the perpetrators, although the Torture Compensation Act, 1996, enables it to order departmental sanctions. In the case of Mahima Kusule, concerning which the Special Rapporteur on torture expressed concern in a letter dated 08/09/10, the court acknowledged that torture had been committed, as defined in the Torture Compensation Act, but did not order the punishment of the perpetrators despite their being strong evidence to warrant such action. This case also points to the utter negligence with which the government of Nepal deals with cases of torture. Without conducting investigations into the allegations of torture, it responded to the Special Rapporteur’s letter that the allegations were “completely baseless, fabricated and hypothetical.” The government’s position runs contrary to the findings of the court, which has acknowledged the veracity of the torture allegations, and is therefore illustrative of the government’s lack of good faith concerning its cooperation with the Human Rights Council and its Special Procedures. The Special Rapporteur on torture to continue to monitor the situation of torture in Nepal, to follow-up on cases communicated to the government, and to express concern at the increase in allegations of the use of torture. The Special Rapporteur is urged to request a follow-up visit to Nepal in order to assess this situation and the implementation of the mandate’s previous recommendations. The Human Rights Council to intervene with the government of Nepal to ensure effective cooperation with the OHCHR, Special Procedures and Treaty Bodies, and ensure the prompt and effective implementation, in particular, of recommendations made by the Committee Against Torture, by the Special Rapporteur on torture, as well as those made during Nepal’s Universal Periodic Review in January 2011. The government of Nepal must be urged to include addressing torture as a priority within planned wider reforms to the criminal justice system. Urge the government to adopt without delays a legislation specifically criminalizing the issue of torture and to immediately make its draft public. Closely monitor the compliance of such legislation with the Convention against Torture. And, urge the government to make illegal detention and incommunicado detention without presentation before a judicial authority within 24 hours punishable by law. The ALRC and Advocacy Forum further urge the governments of Austria, Brazil, Denmark, Germany, Hungary, Japan, New Zealand, Slovenia, Sweden, Switzerland and the United Kingdom, who have all expressed concern or made recommendations aiming at bringing torture to an end during Nepal’s UPR, to intervene with the government of Nepal to ensure that it is fulfilling its commitments.